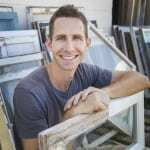 There are a lot of different techniques to weatherstrip wood windows. Like anything, some are more effective than others. In this post I’ll show you how to install spring bronze weatherstripping on your old windows. 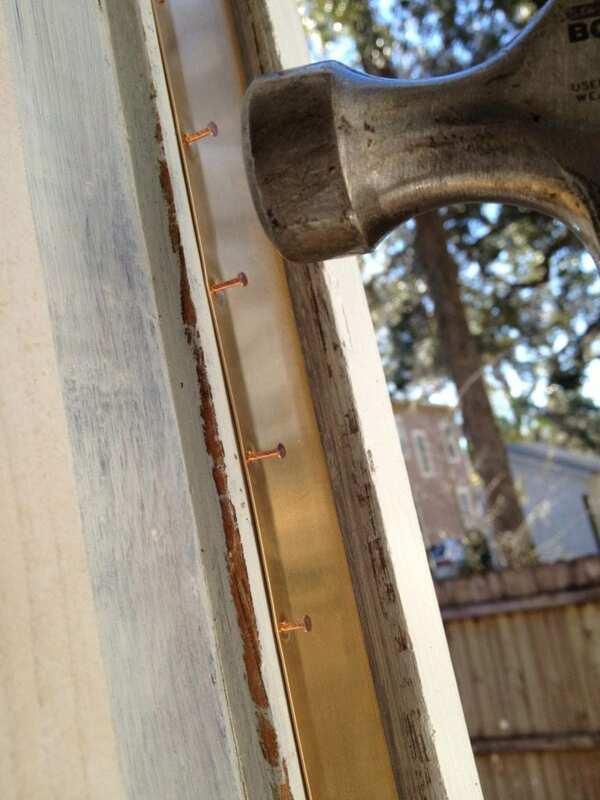 Anything that lasts as long and works as well as spring bronze weatherstripping usually requires a bit more work to install than the peel and stick weatherstripping you find at the hardware store. Once it’s installed and tuned properly, you can forget about it, and in our “no maintenance” culture today that is awesome! 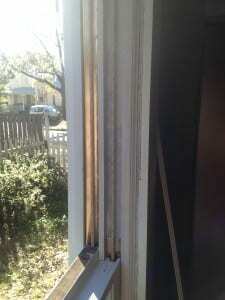 You’ll need to have the sashes removed from the window jamb in order to install the spring bronze. We tend to install the weatherstripping as a part of a full restoration of the jambs and sashes. If your windows are painted shut or can barely move due to paint build up, installing spring bronze won’t do much good other than to make them even more difficult to operate. 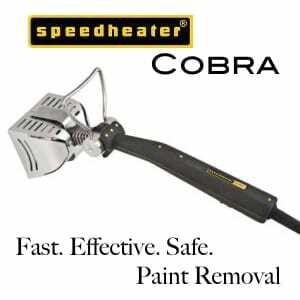 If this is the case, prior to installation, scrape the jambs clean of the decades of paint build up so you have a smooth surface to work with. If you want your jambs primed (which I recommend) or painted, you’ll need to do this prior to installation as well. Trying to paint around spring bronze is a pain in the @$#. If you have restored, easily operable, or windows that are even just loose in their jambs, you are a good candidate for spring bronze weatherstripping. Measure the height of the bottom sash. Using your tin snips, cut two lengths (one for each side of the jamb). Cut them 1 1/2″ longer than the height of the bottom sash with a bevel at the bottom to match the sill angle. For the top sash, your measurements have to be a little different. Measure the height of the top sash, add 1 1/2″ then measure the distance from the top for he jamb to the bottom of the pulley (in the case of this picture 9″). Subtract the 9″ (or whatever your measurement is from the previous number and you’ll have the length of your bronze for the top sash. I promise the math lesson is now over. Phew! *Caution: Spring bronze is nailed over top of the weight pocket access doors. Once it is installed, it will have to be removed is you ever need to access the weight pockets to re-rope your old windows. If your jambs are very sturdy and the wood isn’t hard as a rock, then you can just nail right through the bronze and into the wood. If this is the case, you are a very lucky person. Set your bronze in place on the jamb with the nail side (the flat side) facing inside the house. Make sure it is right in the middle of the jamb. There should be at least 1/16″ space between the bronze and the blind stop and parting bead to allow it to flex properly. Drill the first hole at the top thru the bronze and into the wood about a 1/2″. Tap in a coppered nail so it dimples the surface just a bit. Pull the bronze nice and tight and repeat the process about halfway down the length and again at the bottom. The second hole you pre-drill will set the angle of the bronze, so make sure it is lined up straight and doesn’t wander into the parting bead or blind stop at one end. Go back and repeat the process so that there is a nail every 1 1/2″ to 2″ along the length of the spring bronze. Once it’s all nailed in place, go back and spring the bronze if necessary to increase the amount of gap it will fill. Test fit your window first to see if you have a snug fit or if there are gaps where the bronze isn’t running against the side of the sash. If there are gaps, you need to bend the spring bronze out in those sections so that it puts light consistent pressure on the sides of the sash. To bend the bronze, you can gently use a putty knife to bend it back. Sometimes I have come across windows where the jambs are just too loose to nail anything. In these cases, I have resorted to a pneumatic narrow crown stapler to install the bronze. I’m not going to lie, it goes MUCH faster! But there are a few things to be careful of if you decide to go this route. Use only 3/4″ stainless steel staples – Anything longer than that can get in the way of the moving weights behind the jamb. These nails will be exposed to the weather so if they aren’t stainless, they will rust and loosen their hold in a short time. Also, anytime you put two different types of metal together, you run the risk of galvanic corrosion which causes the metals to rust and corrode prematurely. This shouldn’t be a problem with stainless steel because the coppered nails are steel in their core as well. But if you use something like aluminum nails you may have a problem. Turn the pressure down on your nailer. It is very easy to blow right through the thin bronze with an air nailer/stapler. Test a few strips to find the right air pressure and depth. Still put a nail at the top and bottom of the bronze. The coppered nails hold better than pneumatic staples will. The two spots that are most likely to pull away are the end of the bronze so put a nail in those spots to make sure it doesn’t pull away in the future. There is also a strip of bronze that can be installed at the meeting rails between the two sashes, but I rarely use it since I have found that by simply adjusting the sash lock, I can achieve a good enough seal to avoid this added expense. Once your spring bronze is installed, you won’t have the stereotypical drafty old house anymore. Enjoy the lower energy bills and warmer winters indoors! I have insulated over 20 double hung windows with spring bronze. However, two have spiral balances. Can I use spring bronze for them? One person said there were directions in your blog for insulating spiral balance double hung windows, but I could not find it. 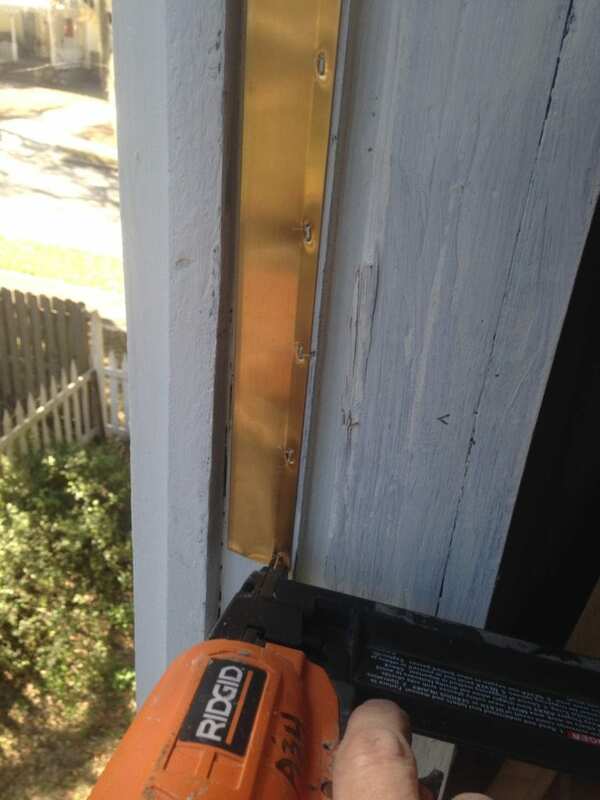 I’m curious, whats the reason that you extend spring bronze cut 1 1/2″ longer than the height of the sash? 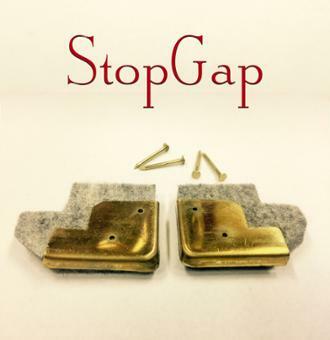 When using the product “stop gap” you offer in your store, can it be snagged by the spring bronze that is extended past the sash? Thanks in advance for the reply! My understanding is that it prevents the sash from running off the spring bronze when it is either all the way up for the bottom sash, or all the way down for the top sash. Scott, this would be a great topic to do a video on! Would weather stripping like this help solve the issue of freezing condensation on the inside of windows? Trying to find a solution for this dealing with subzero temps in Iowa on a 1920’s bungalow. 1. Indow-Windows are interior storm windows that snap into place. They separate the warm air from the cold panes, and the dead-air gap between both glass planes keeps the Indow warm enough to not condense or freeze. These are not cheap but are how you can preserve your originals in both look and feel. 2. Less expensive but same concept is the plastic film that does the same thing. It uses adhesive so in summer when you remove it, there is some cleanup required with paint thinner or goof-off. When you apply it, you heat it with a hair dryer and it stretches tight. Much cheaper, but it is a yearly event. 3. Storm windows on exterior. Also expensive, they tend to be left up year round. They obscure the beauty of the originals, need maintenance and, when left up perpetually and combined with a lack of upkeep, will encourage a thin “trench” of deterioration of the sill wherever the moisture and sun combine their powers at that bottom drip edge of the storm windows. Also, because they tend to stay up all year, no summer ventilation. 4. Lastly, of course “ is what we did in rural Montana. Apply sheet plastic to the exterior, secured with strips of wood. These also tend to stay up so summer ventilation is gone. Plus, any nails or staples left in the sill or casings draw moisture, slowly rust, then that holds more moisture, and pretty soon you have a string of rotted outs. All of what I wrote above is what I have experienced personally. I lived in a very leaky but lovely 1911 apartment, so I used the hair dryer plastic. Then I bought a 1911 house with 75 years of deferred maintenance and aluminum storms and siding. Also, as a kid I hated helping my single mom of 5 putting up the exterior plastic. We ALWAYS did it in the dark with a flickering flashlight, in below freezing cold. I should add that I do not have the Indow windows. 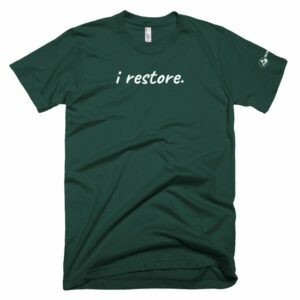 Many here in Portland do, and they love them for the look, ease of summertime removal, etc. I just still have too much restoration to go before I can start looking at those. Hope this helps! Couldn’t have said it better Meryl! I’m restoring some double hung windows with spiral balancers. I have the sashes removed. What do you recommend for weatherstripping? Great information in your blog. I read and re-read prior to cutting the first painted-in window. Getting ready to put back together. I have been attaching the weather strip to the sash it works well, is invisible and does not cover the weight door . . Thanks for this post. I’ve installed this weather stripping on my 1890s Victorian in Michigan on five of my original windows now. I’ve got 3 more to go still! I have an 1880’s house with arched, fully half round, top sashes. Would the spring strip work on those?. The weather stripping does sound intriguing. Thank you in advance for any advice. Great Blog by the way. Yep works on radiused tops. Disregard my last comment about no instructions on weatherstripping in your book Old Windows Made Easy. Looking forward to restoring the windows in my 1906 bungalow. And they are beautiful with diamond shaped muttons in the top sash and old wavy glass. What a treasure these windows are and I look forward to making them proud again. 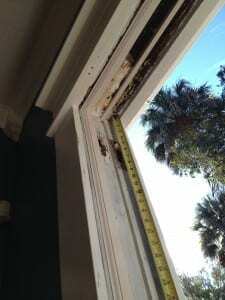 i am currently restoring my windows in my 1926 craftsman home here in tampa. As far as weatherstripping, i have used the spring bronze on the jambs. Im still getting a draft at the bottom of the sash. What would be the best solution to fixing this problem? I really like the spring bronze look. i was wondering if i could run a clean strip across the sill, or do u foresee this being a problem? Hi – I’ve rebuilt 22 double-hung so far… 18 to go. I’ve used the spring bronze in the tracks, and on the bottoms of the sash, the top, and where they meet. DON’T DO IT! Definitely use it in the tracks. But I found here in the NW that the bottom bronze leaves blue streaks on the sills AND the nails attract humidity in both the top and the bottom. So they wind up rusting in the sash… which then leads to more humidity staying longer, and the sash rotting out around the nails. I am using instead “v-strip” weather-stripping. Put it on the bottom of the bottom sash, the top of the top sash, and the front-facing (room-facing) bottom rail of the top window-sash. Yes, you will see it when you open either window, but you will have LOTS less problem with it peeling off as you use your windows. You can also use it above the pulleys where it is difficult to nail in the bronze. I cut the strip long enough to extend down behind the bronze (I’m talking in the jambs/tracks here). This allows the window to slide over it without catching on it. So it goes from the top of the track, along the side of the pulley, and disappears behind the nailed edge of the bronze strip. It makes a nice, continuous fit from top to bottom that way. You absolutely can add a strip of bronze across the sill to tighten up the bottom. I’d keep the nail side to the inside. 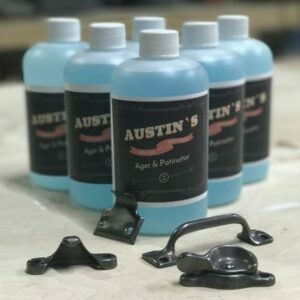 thanks again for your website and advice. I am really pleased with how my window restoration project has been coming along and your blog has been my primary source for instructional material. Just a quick question about spring bronze: what is the approximate minimum thickness that it can be compressed to? Even after stripping all of the paint from my sashes and jambs, there is not a lot of wiggle room. Maybe it wouldn’t be that useful in my situation? Or possibly when the wood shrinks this winter gaps will open up? Once again, thank you! I have found that a gap roughly from 1/16″ all the way up to 1/4″ can be filled with spring bronze. 1. Both sides of the Jam where the bottom sash slides up and down. 2. The top, where the bottom sash rail meets the top sash rail. Bob, those are single hung windows and you are spot on with how to weatherstrip them. That’s right! Scott, Why do you cut the weather stripping 1 1/2″ longer than the bottom sash? Where does that 1 1/2″ end up? With my Windows only the bottom sash opens and they’re not counter weighted. Bob, the spring bronze runs a little taller than the sash so that when it is in the most open position the sash down slide past the bronze and get stuck. Could you discuss the meeting rail situation further? We’ve refinished our windows and are ready for weatherstripping, but I remember that they were very leaky at the meeting rails. What adjustments to the sash lock did you do? If that doesn’t work well enough in my situation, how do I do the spring bronze? Thanks! Simple 1914 farmhouse in Washington state Gorgeous fir windows. 2. With the windows on the closed position pull the meeting rail tightly together. 3. Holding the meeting rail tight, place the sweep on the window in the closed position and mark where it should go. 4. Remove the sweep and drill the new holes on your marks. 5. Install the sweep and test for a tighter fit. The meeting rails can also be bowed away from each other. I have old cedar double-hungs, and some do that. I highly recommend AGAINST spring bronze on my actual sash rails: top, bottom and mid-rails. I DO use it in the tracks. I’ve actually just removed my spring bronze from my rails that I installed on the first few I repaired. I find that the nails attract condensation because of the temperature differential between indoor/outdoor and start deteriorating the wood around the nails. In fact, in a few windowsills (exterior… interior are called stools), some nails that had been left over from the previous owner’s plastic storms had actually turned into quite nasty holes in the old fir sills. To make the rails meet properly, of the back one is too low relative to the front one, I have started planning off the top of the top sash. It means removing the window completely, but on those I have rebuilt, that is relatively painless now. I use a Porter-Cable electric planer from Amazon (about $80 new) and it is a really easy way to do a good job. Just be very careful you don’t remove too much! If the back middle rail is to HIGH, you will have to use shims. I have one like that (too much of the P-C planer!) so plan to use the v-strip in a layer laid flat (not folded into a V), with a second layer over it, folded into the V, on the upper rail of upper sash. Loren, I usually don’t install spring bronze above the pulley. The mechanics of it always seem to be problematic and I find that though I would like to have the top 3 or 4 inches weatherstripped it’s not worth the inevitable trouble that it causes. So basically my recommendation would be to run the spring bronze from just below the pulley to just below the meeting rail on the top sash. can you tell me if the same process of weatherstripping can be applied to casement windows? Awesome website…very informative and helpful. I have been rehabbing a 1930 depression baby in Taylor, TX for the last 5 months. Wallpaper on cheesecloth on ship lath. Finally moved in and starting on the windows. Was planning to replace the rope with chain and weather strip with v-seal weatherstrip. OK? The old growth lumber is sacred to me. 2 5 gallon bucket of nails pulled. All the ship lath went back on. There was a lot of repurposed lumber already on the walls. 1 x 12, 10, 8. 3″ and 5″ t n g flooring…on the walls. It’s been quite the adventure. 20′ longleaf pine floorboards and ship lap! That stuff doesn’t just grow on trees anymore. Thanx…your site is very helpful. Glad you’re saving as much as you can! Sounds like a fun project. Yup! What Scott says. Don’t waste the money. I invested instead in Sarco M glazing putty out of Chicago. Much better than DAP 30. What’s really cool about it is you can flatten it in the bucket, pour a thin layer of boiled Linseed oil (BLO) over it, and then re-use it months and months later. I’m using these techniques on my windows as well. Using Sarco-M putty out of Chicago. FYI, for the rail-meeting, and tops and bottoms of the windows, use the V-strip weather-strip. Works really well. I also use it above the pulleys. I ALSO use it flat under my wooden drawers, both sliding surfaces. They slide like silk! Good article… thanks for promoting keeping the windows. They really are the soul of the exterior. Hi, great article. It has inspired me to try doing my old windows. My question is how do I size the width of the bronze spring? If I have a window that is 1.5 ” thick would using the 1 3/8 bronze spring be the right size? Can you use a small size and still gain the benefit of bronze? Reason I am asking I have several different windows depth that where installed at different times during the house got addition as added over the years. Glad you’re gonna try to do it yourself Ray! Standard residential windows are usually 1 3/8″ unless they are older than the mid 1800s. Smaller spring bronze works fine, but I prefer to stay as close to the width of the window as you can. I am replacing window weights with spring balances. can I use the spring bronze as well, to tighten seal at sides of windows? Carol, the spring balances will not fit with the spring bronze. If done properly, the spring balances should tighten things up a good bit though. Another source of high-quality, custom-fitted storm windows: MonRay. Readers may want to check out http://www.windowstandards.org for a book developed over the last few years by 100+ collaborators and 5 nationally-know window restorationists. I love spring bronze for my doors, but fear that it will become extinct because I had a little difficulty finding it last time I needed it. Thanks for promoting it and giving us a new use! It’s here to stay even if it a bit harder to find these days! Oh yeah, forgot one other thing – I’m going to play with breaking the spring bronze at the sash weight pocket for maintenance purposes. Thinking of doing some kind of lapped tab or bayonet joint to allow for pocket door removal without having to remove the spring bronze. Have you ever played with this idea, or any recommendations on what will or won’t work? Never tried anything like that. Let me know if you have success with it. – Parting stops – its tough pulling these without damaging them. Do you usually end up replacing a lot of these? If you do, what do you typically make them from? – Storms – what products work well to maintain the historic look of the house? I’ve got wood framed screens with the original copper in them, and I’d hate to lose the look (they are red which is a key color component to the scheme). I’m starting with the window refurbishing and weather stripping, but if that doesn’t reduce noise and drafts enough – storms will be the next step. I appreciate any advice you can offer. Thanks! Thanks Jon! Partings bead is usually a big pain to remove with all the accumulated paint. If yours are nailed in, which occasionally is the case, it will be really hard to get them all out in one piece. We usually replace all the parting bead just because of cost and speed since it is readily available at most lumber yards and even Home Depot/Lowe’s. Try this: Put the top sash in the lowest position it will go and cut the paint on the parting bead before slowly trying to wiggle it out. Duck bill vise-grips will help immensely! As for the storms I would go with traditional wood storms. They keep the historic look of the house and help with the noise and drafts. 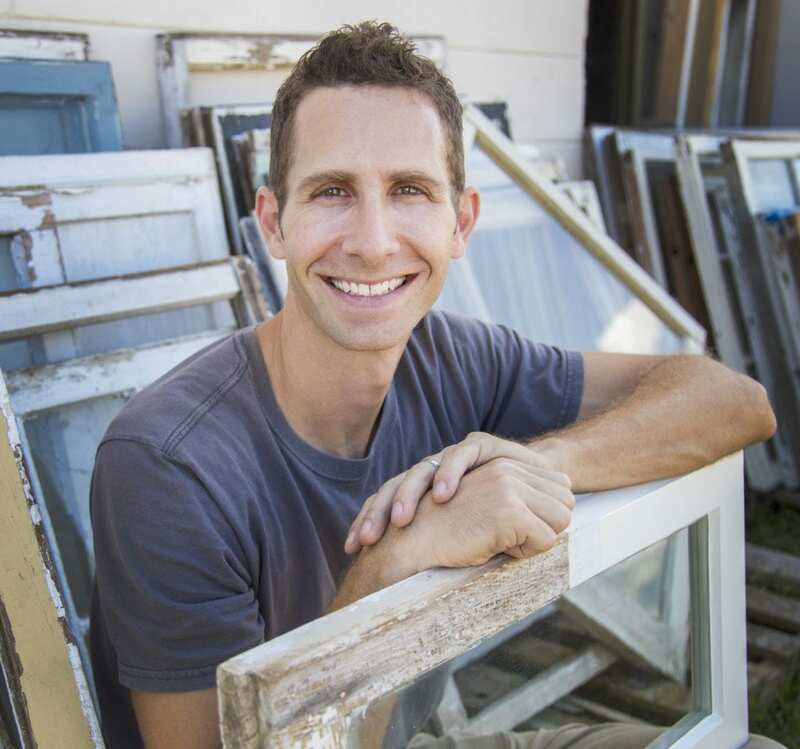 My company builds them as does Wood Window Makeover in Tampa.